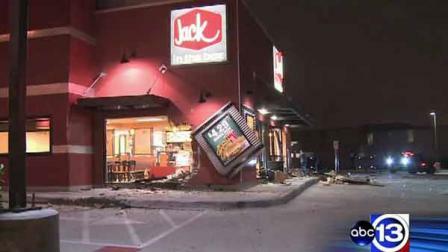 Employees at a fast food restaurant in northwest Houston will be cleaning up a big mess left by a driver who lost control.They found a Mazda RX8 sports car inside the dining room.Officers were called to a Jack in the Box on Bingle at Little York around 2:30am Saturday.Police say the driver was heading south on Bingle too fast when the car hit a curb, jumped into the air and crashed through two walls and into the dining area. Officials said that area of the restaurant was closed at the time.There is no word on whether the driver was injured or will face any charges. In this story, Defensive Driving would have help this driver to know that speeding could cause this type of accident to happen. A lot of crashes and accidents happen because drivers are not educated in proper Driver Safety. Defensive Driving is a State Approved Defensive Driving school that not only educates our students, but also offers courses for Ticket Dismissal and Point Reduction.